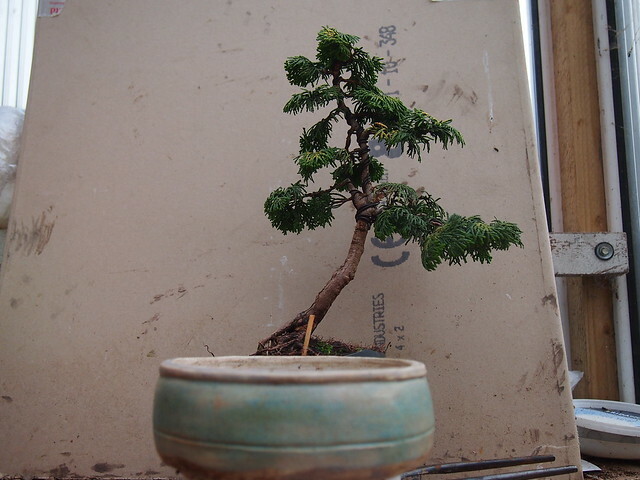 It is another step in progression of one of my best trees. 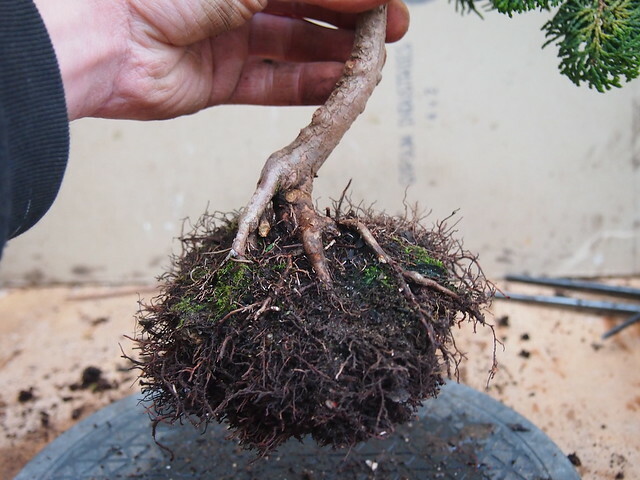 This tree has become to my collection last summer and was styled at Willowbog and NIBS workshop and now it is time to first potting into bonsai pot. 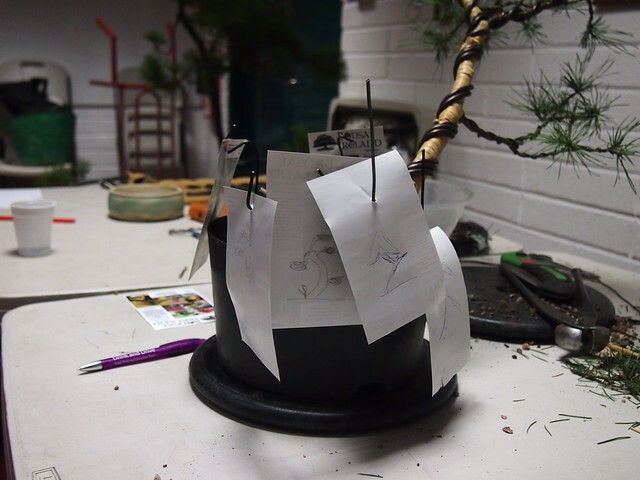 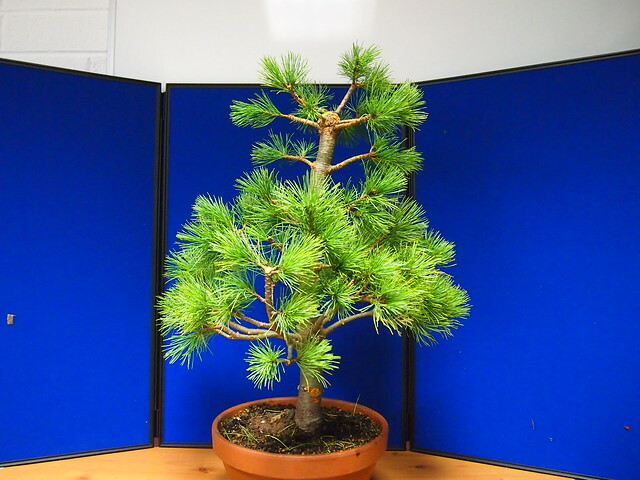 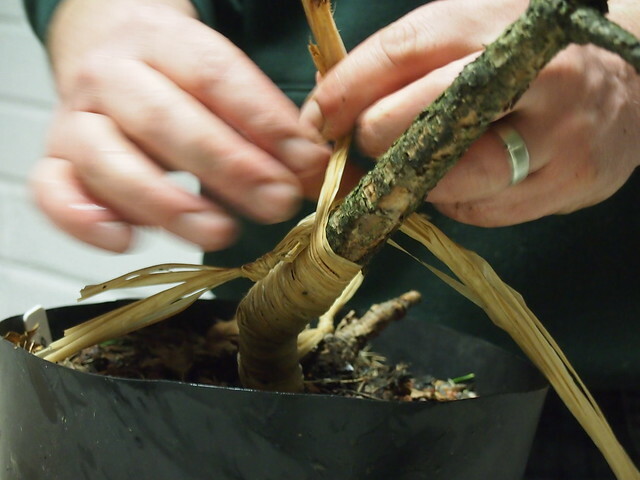 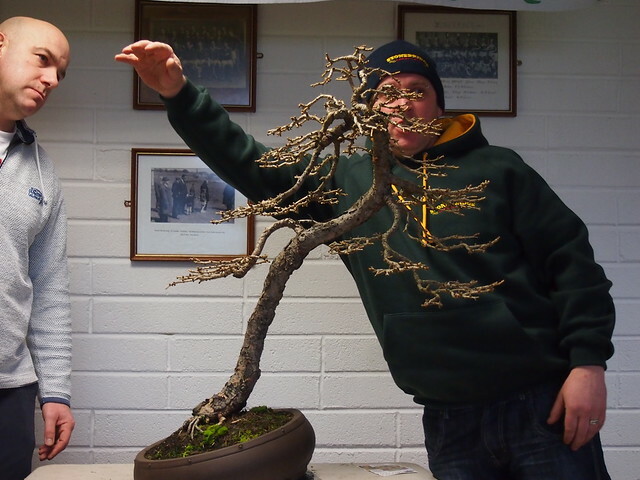 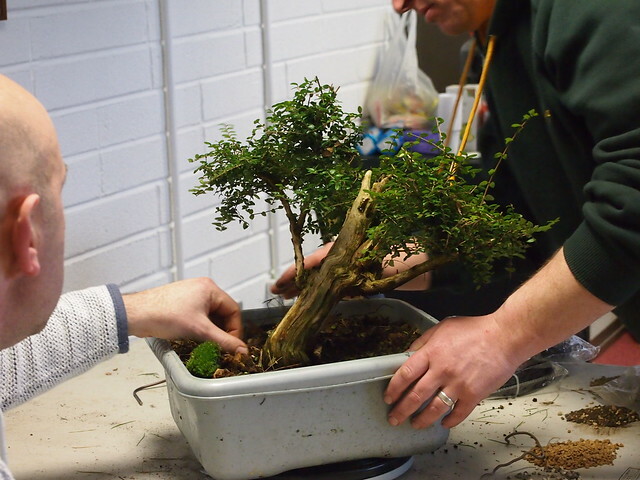 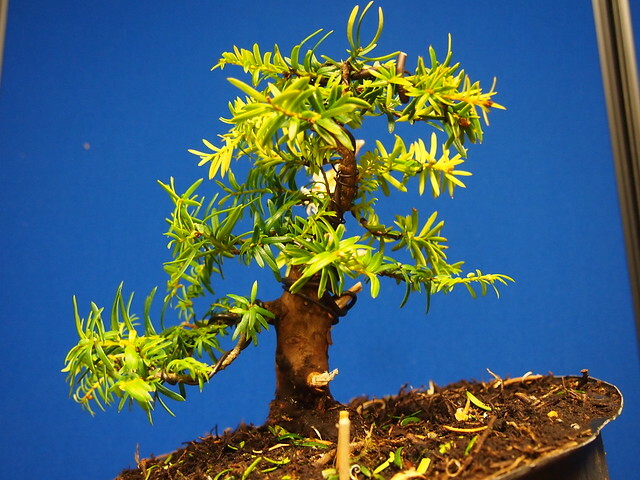 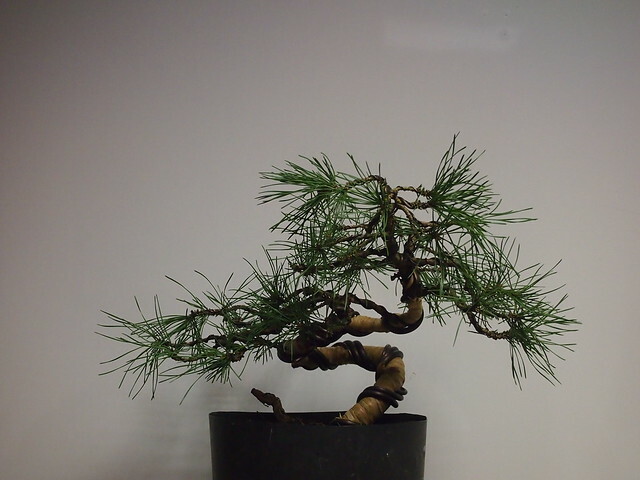 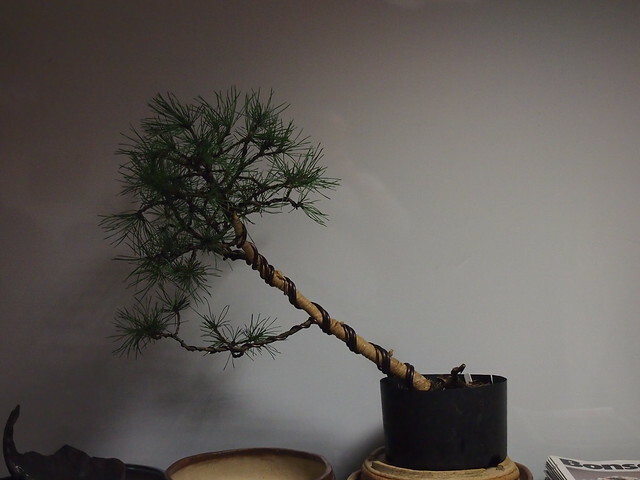 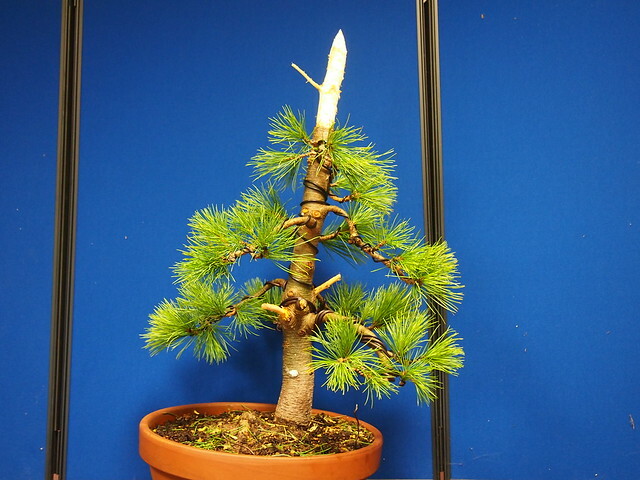 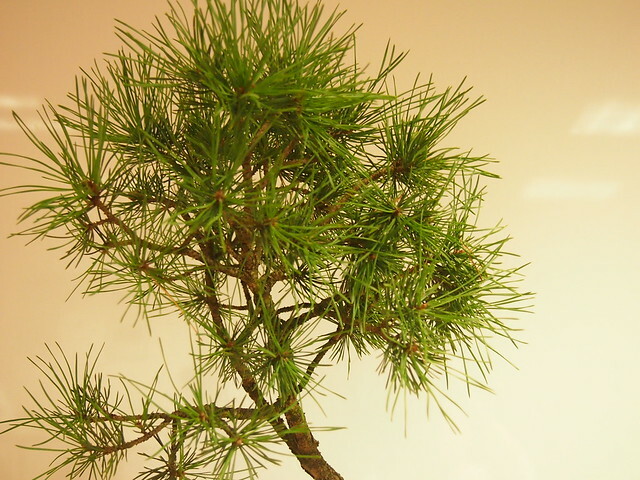 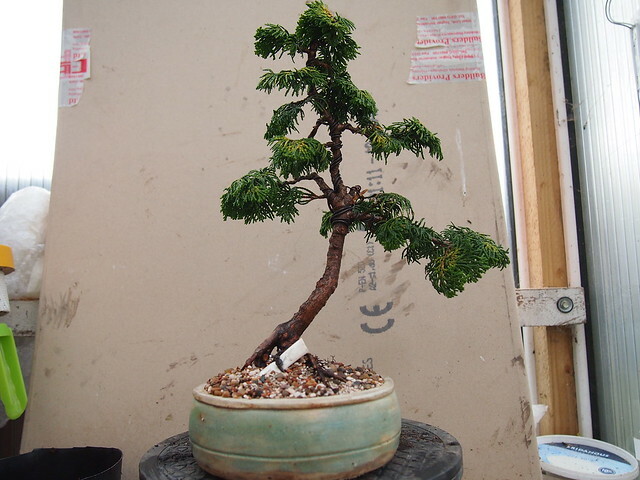 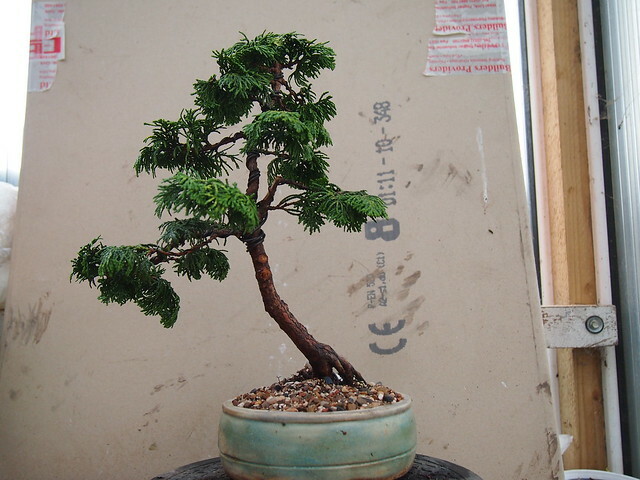 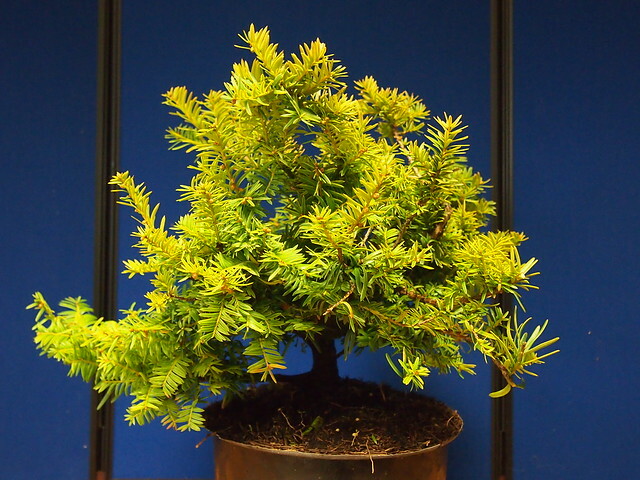 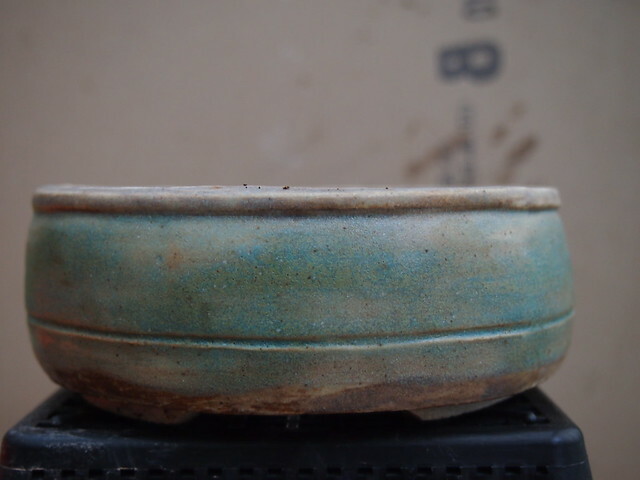 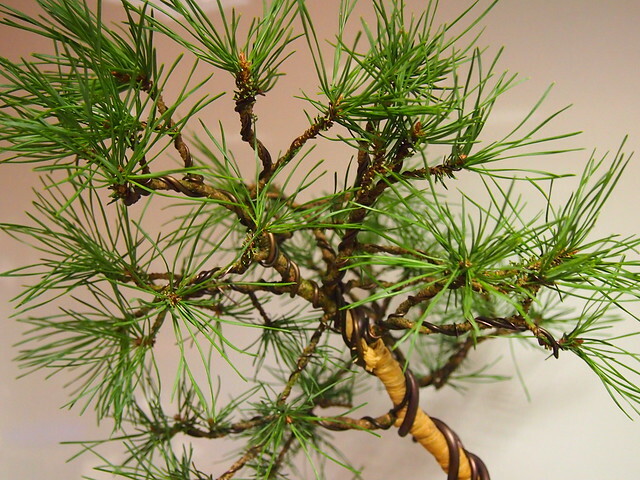 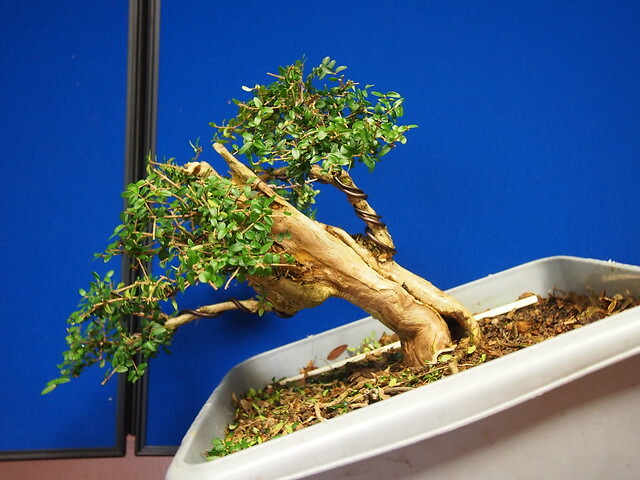 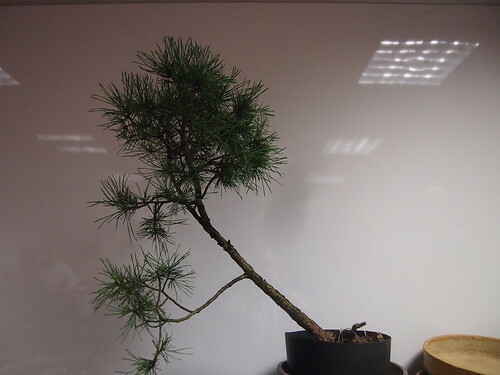 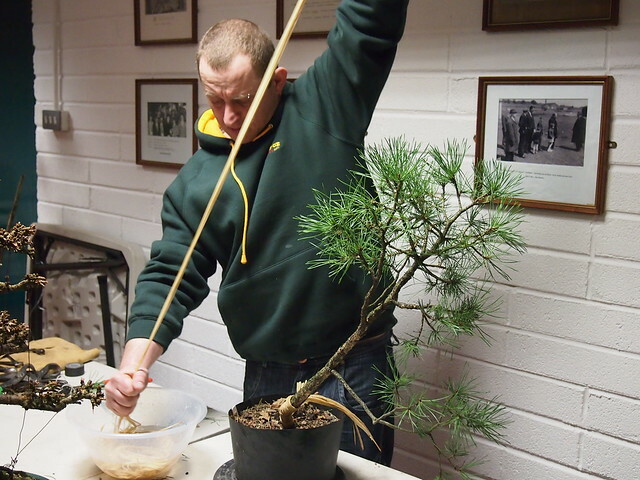 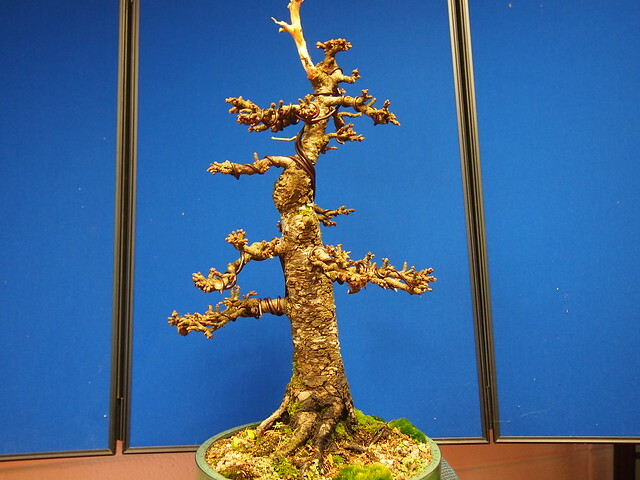 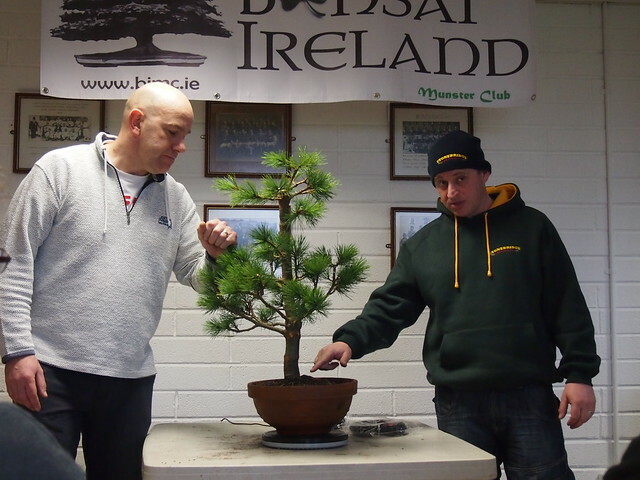 The Munster Bonsai Club have just launched their new Website/Blog. 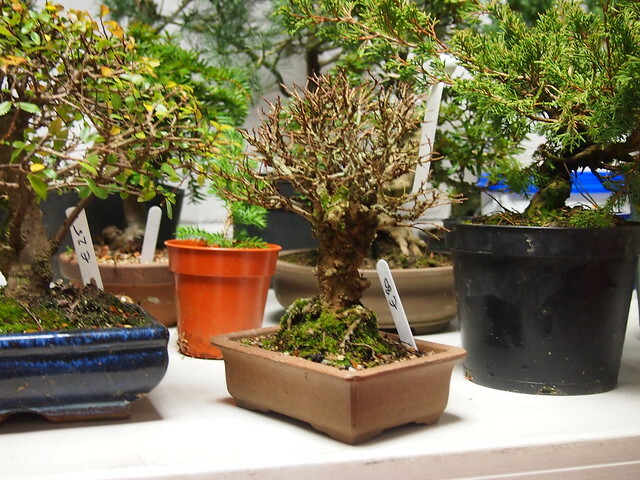 Give them a little boost and give them a follow. 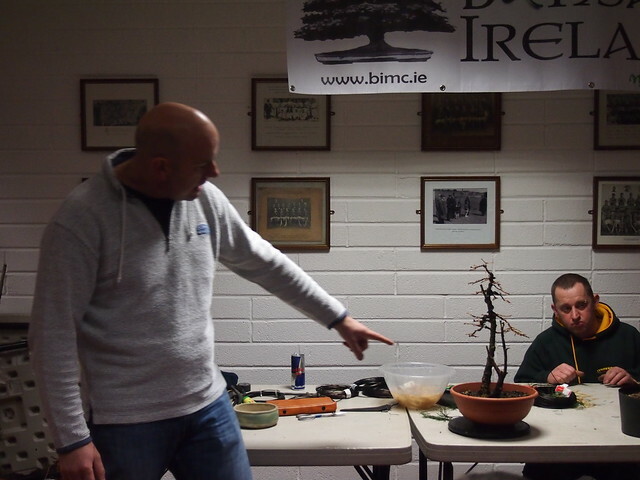 Also check out their social media links. 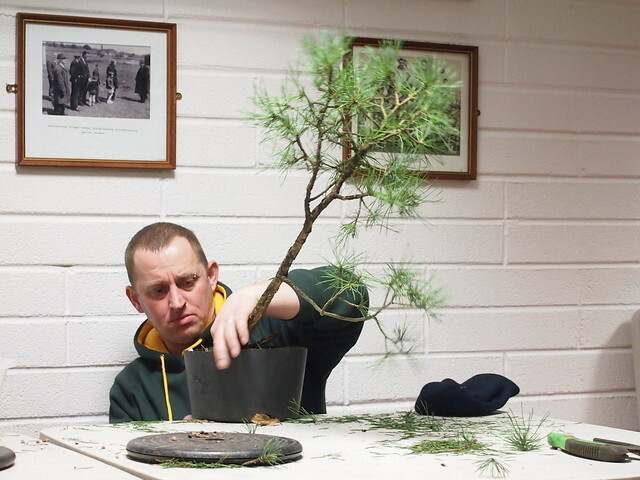 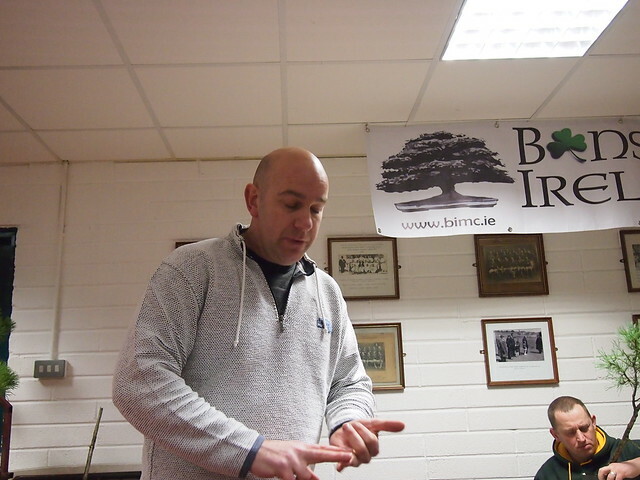 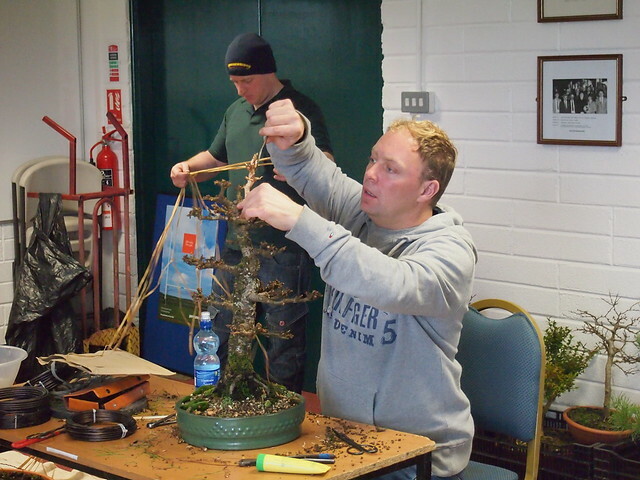 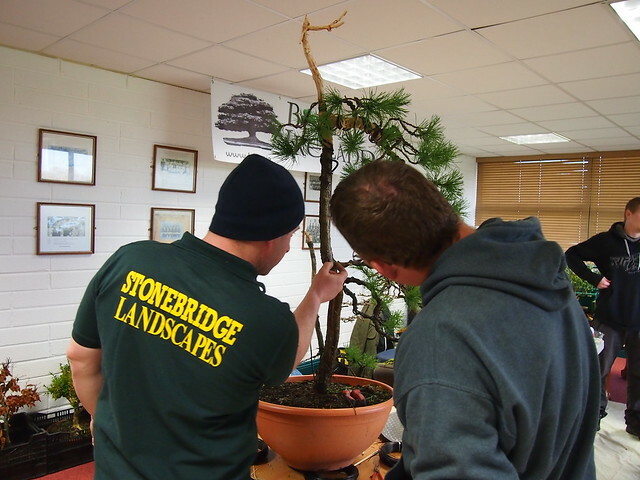 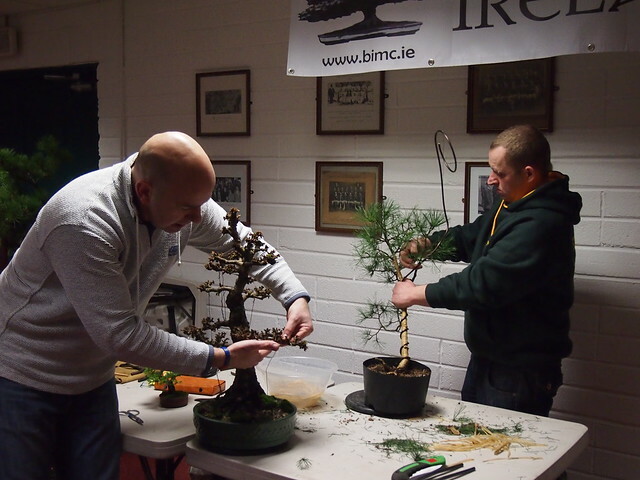 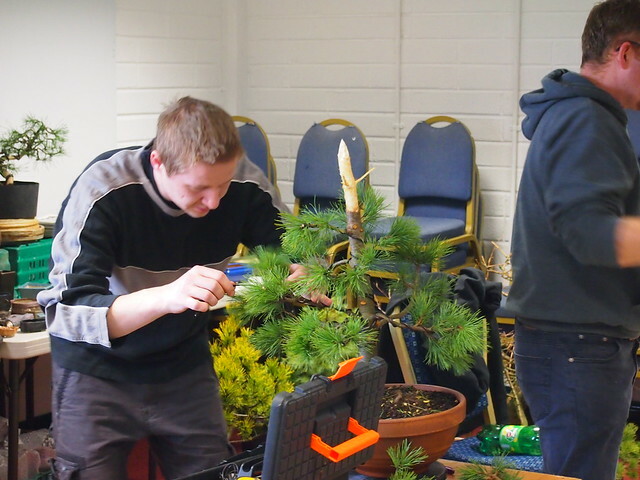 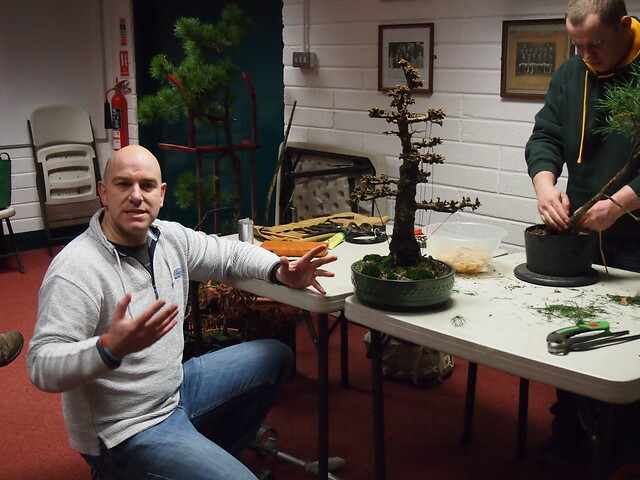 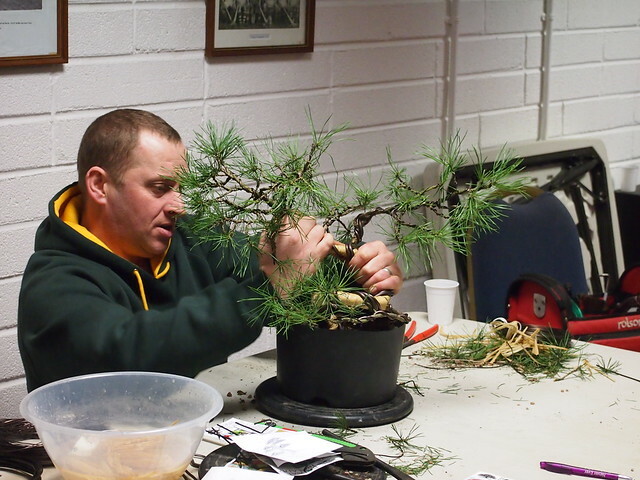 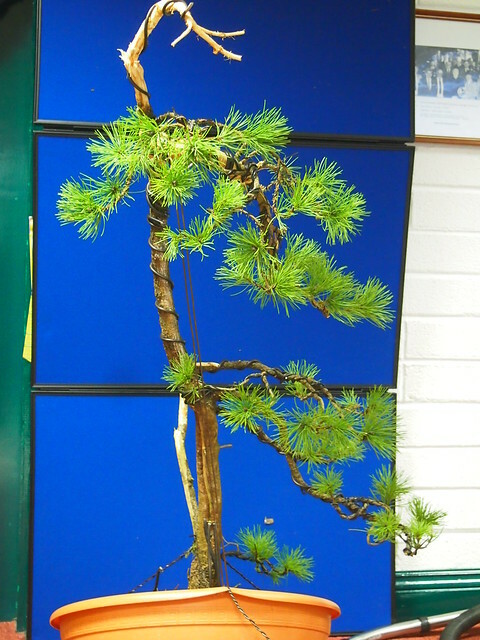 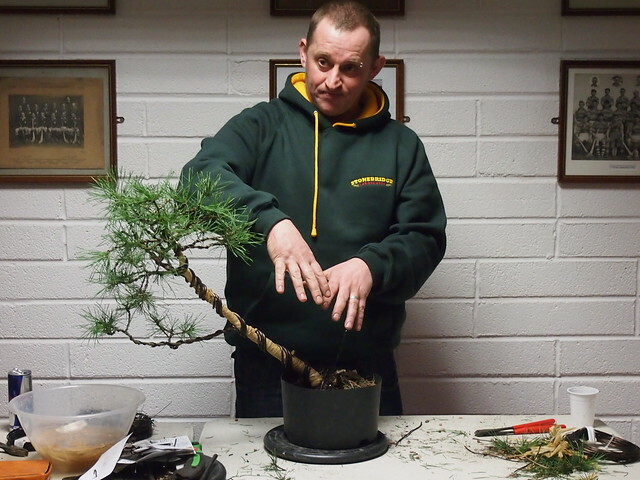 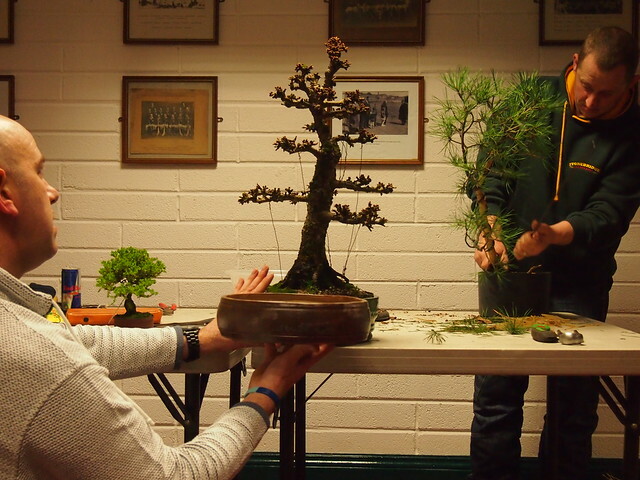 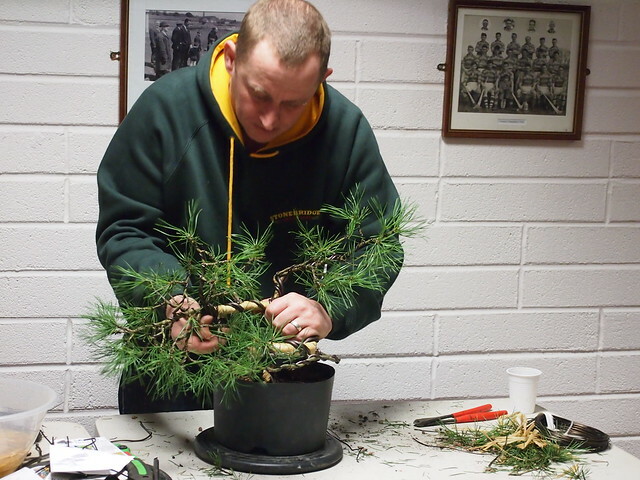 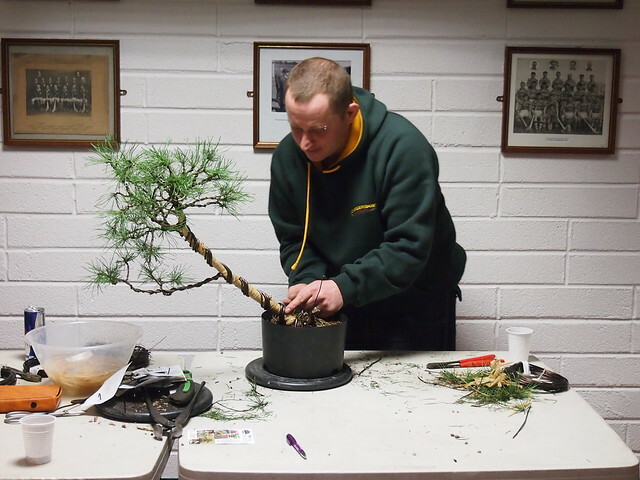 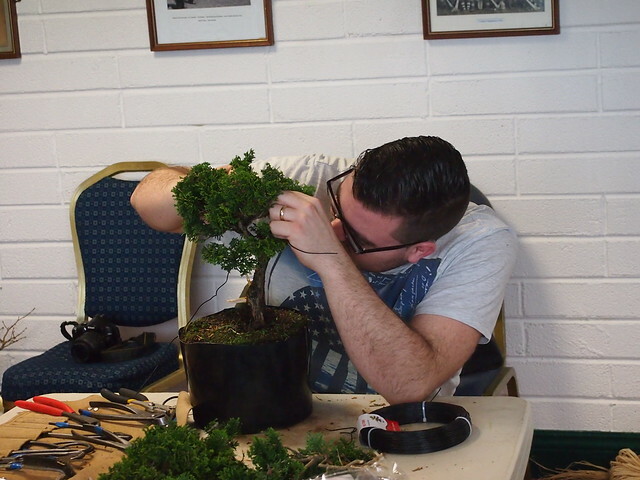 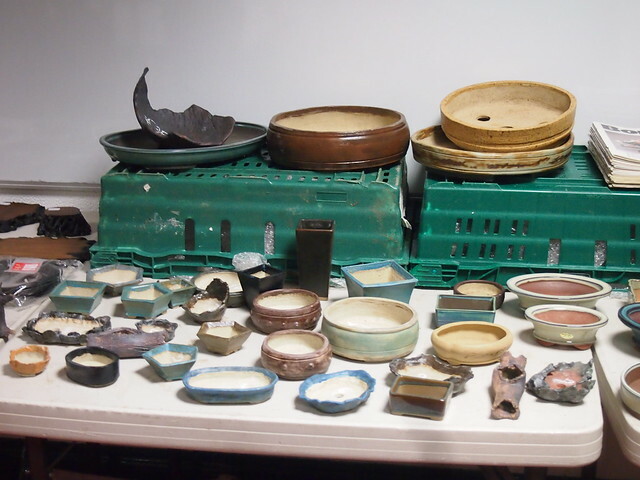 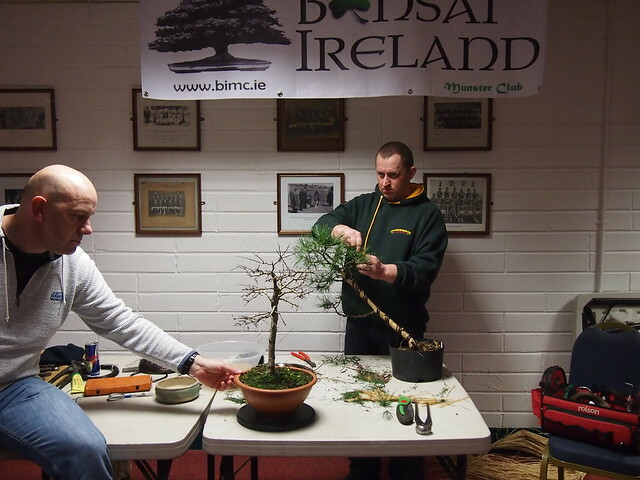 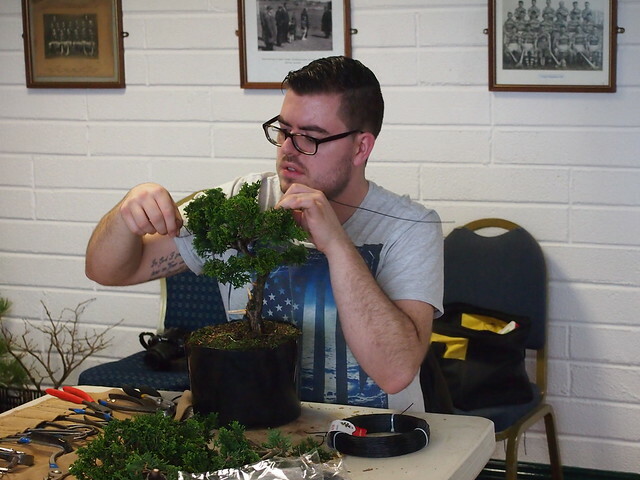 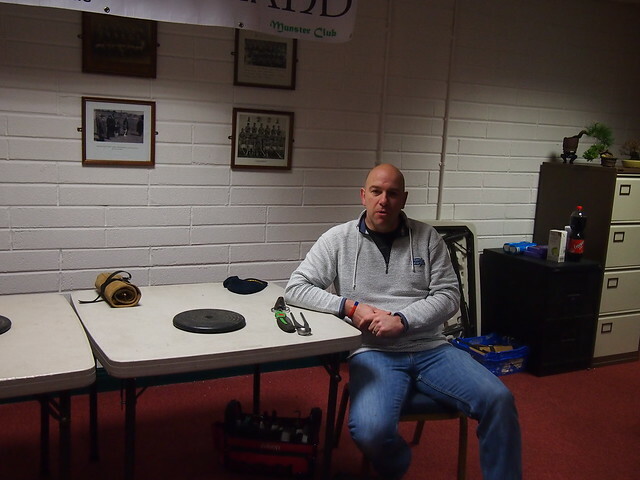 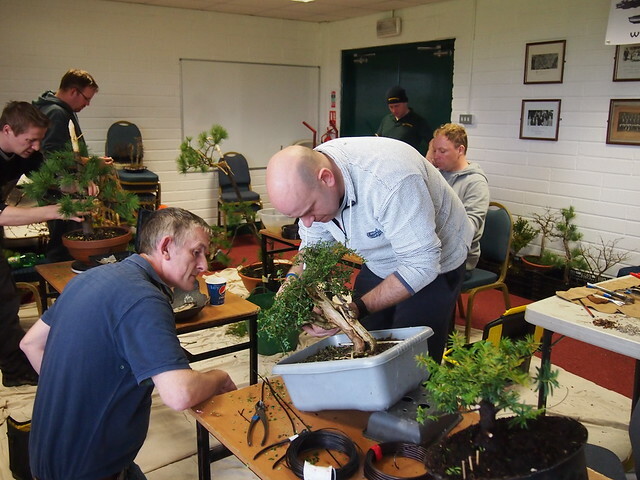 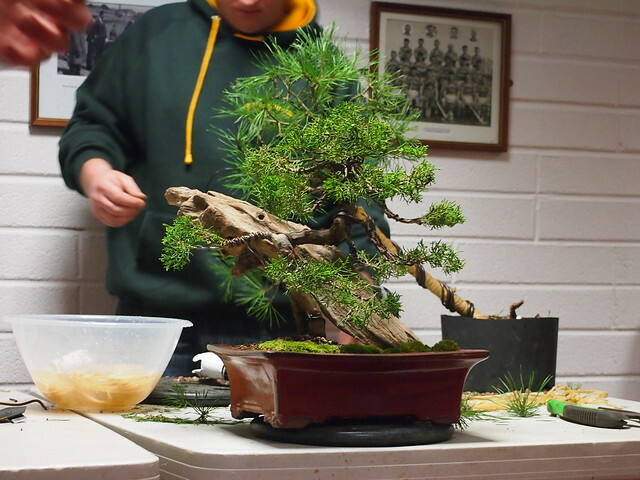 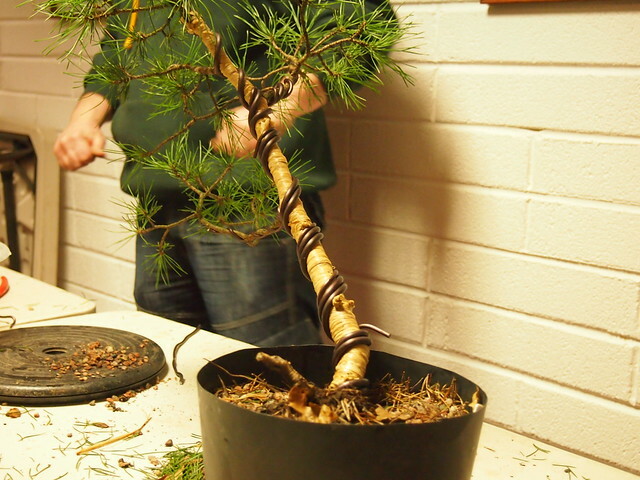 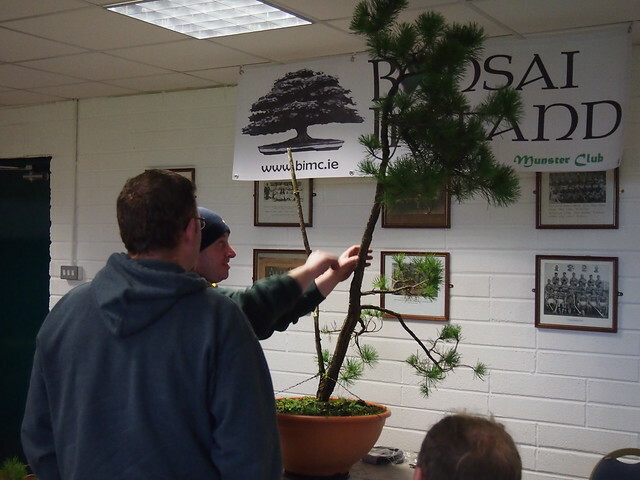 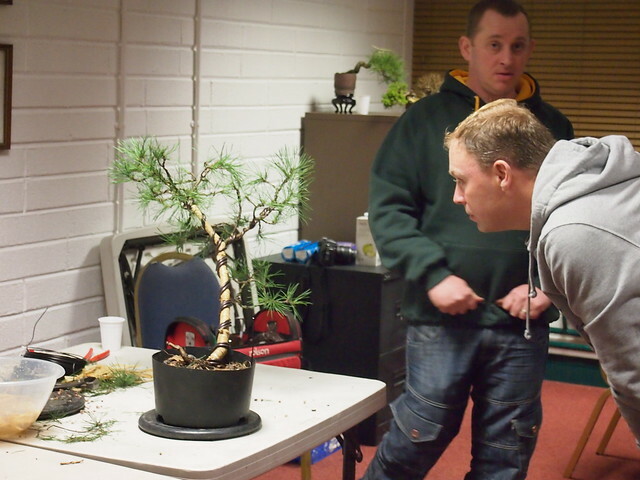 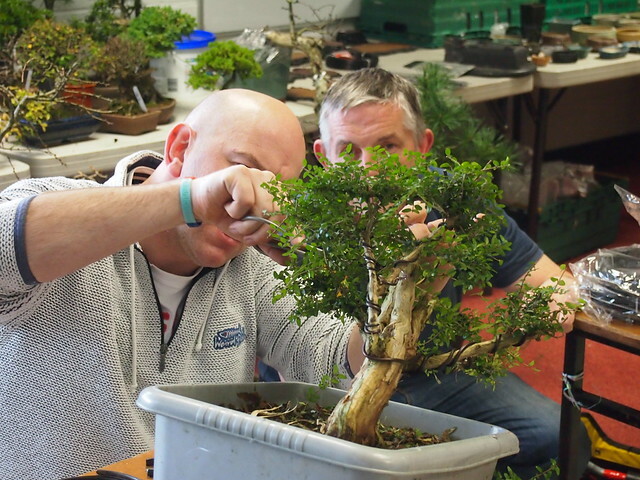 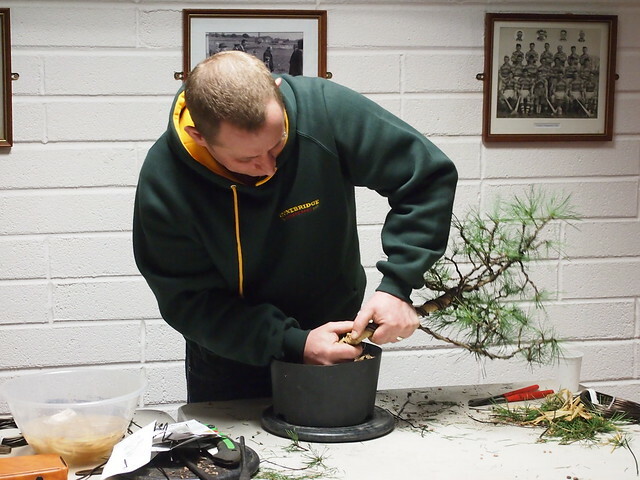 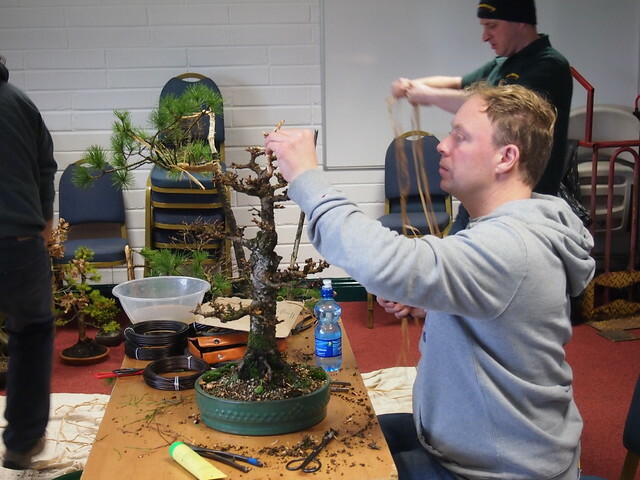 Saturday we have had workshop with Ian and Phil at Bonsai Ireland Munster Club event. 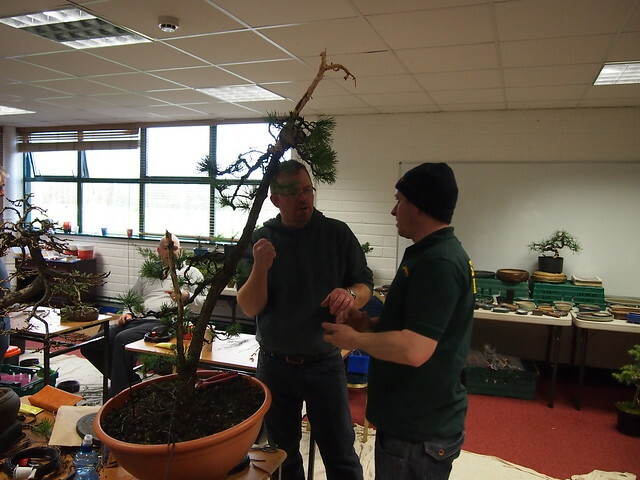 Everyone had tree to work with. 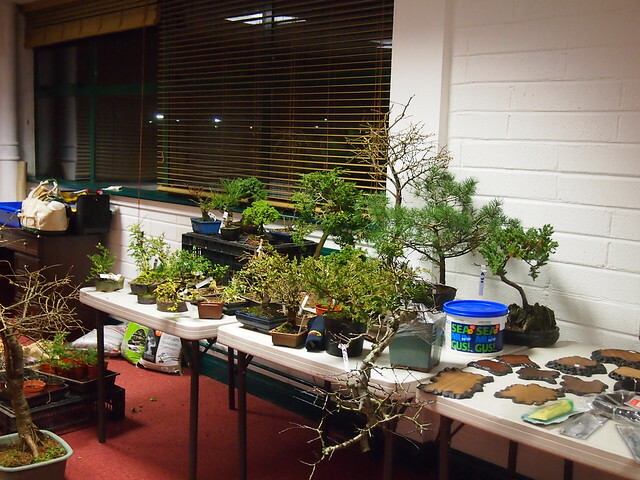 All in different stage, but that what make events or workshops more valuable. 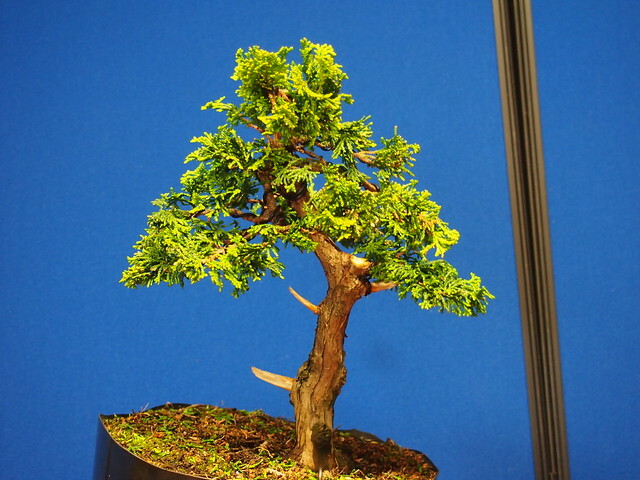 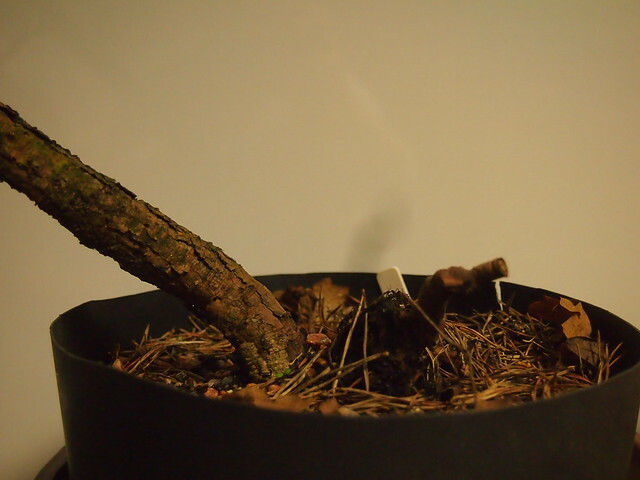 We could see and learn different bonsai aspect from each other trees. 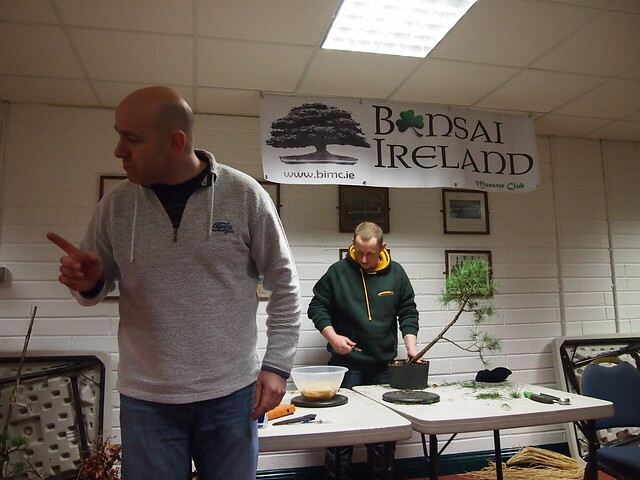 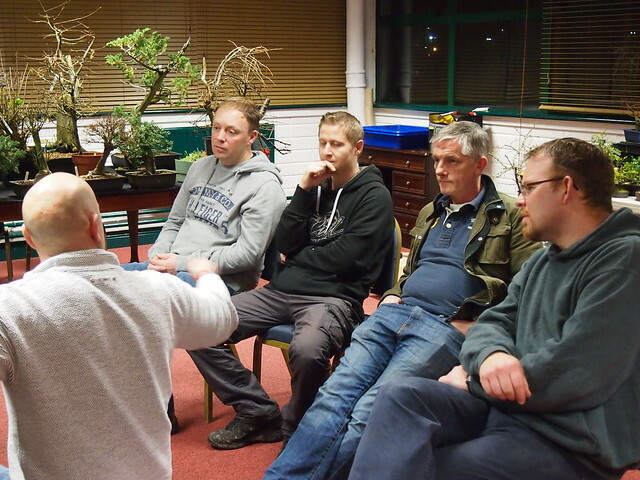 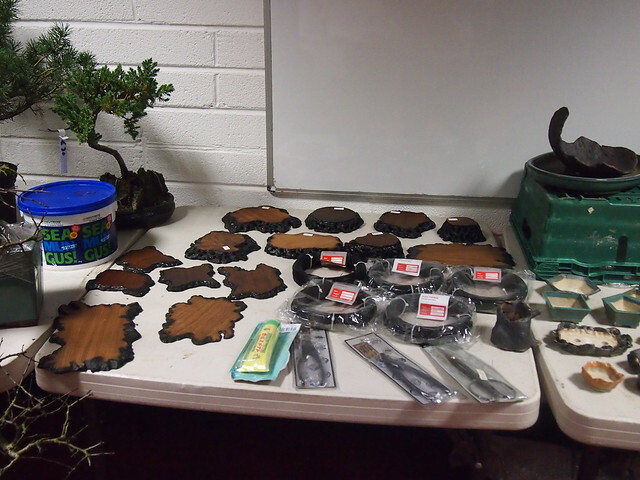 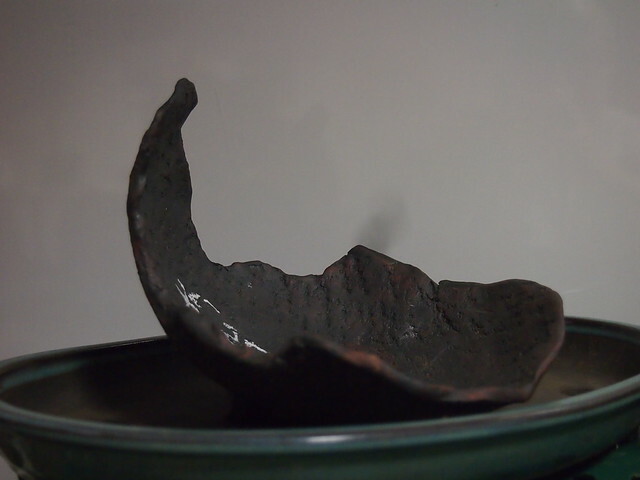 Last Friday night we had have two lovely fella from Norther Ireland Bonsai Society. 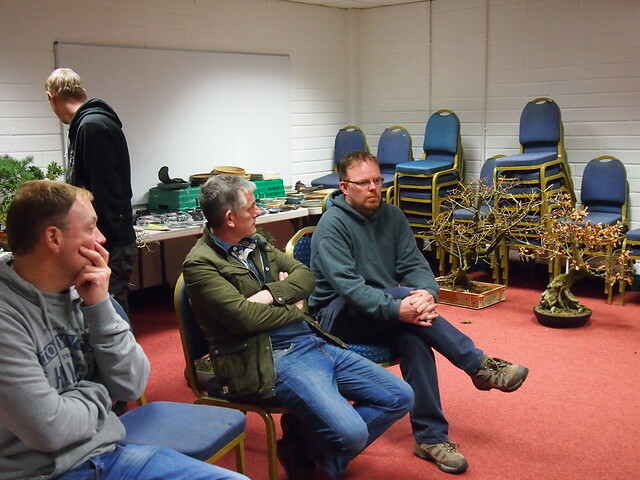 Mr Ian Young and Mr Phil Donnelly have had trip down to Cork to give us never ending river full of information. 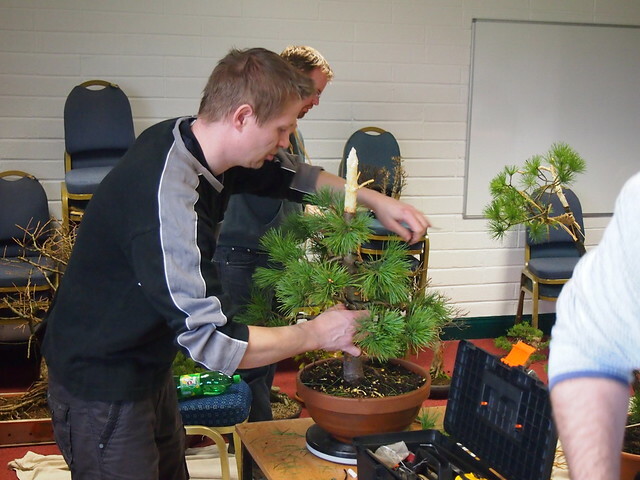 Teachers and students at very begin of event. 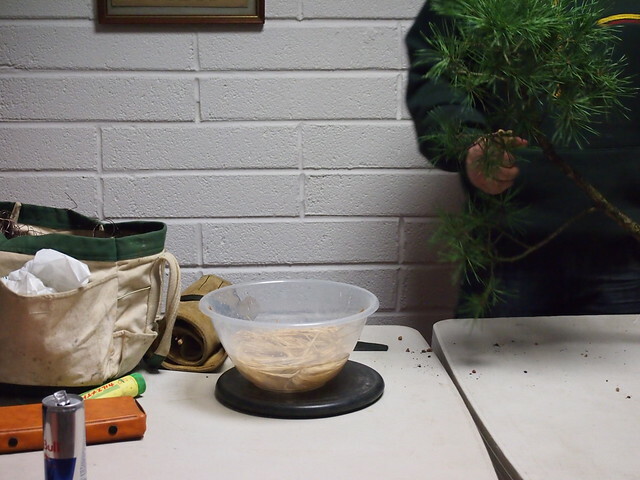 All very exciting….